Nike now holds $12.2 billion of its profits offshore as “permanently reinvested earnings,” up from $10.7 billion last year. Designating its profits this way allows the company to avoid paying even a dime of U.S. income taxes on these profits until they are repatriated to the U.S. This ability to postpone paying U.S. income taxes, known as “deferral,” isn’t quite as troubling when the companies are clearly doing real business abroad and paying a reasonable amount of taxes in other countries. If these profits are repatriated to the U.S., the federal tax on foreign income is the statutory U.S. corporate tax rate of 35 percent minus whatever has already been paid to foreign governments. But if a corporation reports that it would pay nearly 35 percent of its offshore profits in U.S. taxes upon repatriation, that means the company must be paying almost nothing in taxes in the foreign countries where it claims to earn these profits. And that appears to be exactly what Nike is doing. The company estimates that if its $12.2 billion was repatriated to the U.S., it would owe $4.1 billion in U.S. taxes, for a tax rate of nearly 34 percent. The clear implication is that the company has paid a foreign tax rate of almost zero on this $12.2 billion, including the $1.5 billion the company shifted offshore in the last year. In the past, it’s been easy to identify a likely candidate for the destination of this offshore cash: Bermuda. As we noted in 2013, Nike disclosed owning a dozen subsidiaries in this tiny (and income-tax free) country, almost all of which were named after specific brands of Nike shoes. Since it seems unlikely that the company needs all those subsidiaries to help it sell flip-flops to the good citizens of Bermuda, a highly plausible alternative explanation is that Nike has been shifting its intellectual property to its Bermuda subs, where the income generated by its patents and technology won’t be taxed. But Nike appears to have wised up to the negative publicity this stunt could create. In each year since 2013, the company has disclosed fewer and fewer Bermuda subsidiaries. The most recent report whittles down the list to just two, “Nike Finance Ltd” and “Nike International Ltd.” Has Nike abandoned its tax-sheltering ways and eliminated its other Bermuda subs—or has the company’s leadership decided to simply stop reporting the existence of these subsidiaries? The lax disclosure requirements governing subsidiary reporting make it impossible to know for sure. But the hard fact is that Nike’s offshore cash is now even more tax-free, in 2017, than it was before its Bermuda subsidiaries started disappearing. Nike’s apparently tax dodging illustrates the problem with Trump’s proposal to lower the federal corporate tax rate from 35 percent to 15 percent. Nike’s continuing offshoring of profits is a sobering reminder that if deferral is allowed, the tax rate Republican leaders are really trying to compete with is zero. 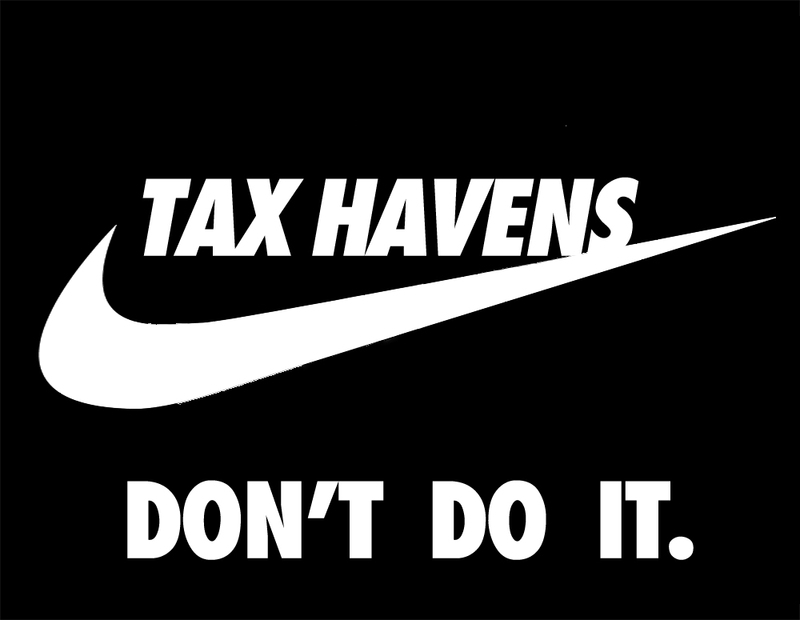 Nothing short of ending deferral will stop Nike’s tax-avoiding ways.